I no longer recommend the Atkins diet, since I found a more effective way of losing weight: Detoxing. This post does a good job of describing the science behind the Atkins Diet, why it works (and it does) and how to follow it. But, most important of all, is the section that points out how threatened the multi-billion dollar weight-loss industry was by Dr. Atkins' findings, and how they did their best to vilify him and what he'd learned, despite the millions of Americans who knew better from personal experience. That's how many pounds I weighed Sunday night. That's about sixty pounds overweight for me. It's also the most I've ever weighed. So, as of 10 pm Sunday night (after a quick bowl of Fruity Cheerios and a cherry turnover) I went on the Atkins Diet. 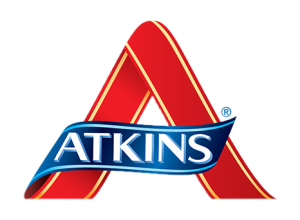 I've been on Atkins several times. It's the only one that works for me, because I don't deal well being hungry. With Atkins (and only Atkins, as far as I know), once you've gotten past the three-day kick-off, you are simply not hungry. If you're not careful, lunchtime can come and go without noticing. At home, it's not so bad. Although my husband, Michael, has a history of bringing home a box of donuts from Wal-Mart whenever I announce I am going "on Atkins." But I've learned to resist that. I buy my own dinner (frozen hamburger patties infused with Swiss cheese and mushrooms, this time around). Last night I ate two of them, with a nice bowl of Romaine lettuce and Caesar dressing. The good news with the Atkins diet is what you can eat. First of all, as long as it contains no carbs, you can have as much of it as you can fit in your stomach. Imagine all the eggs, bacon, sausage, and ham you want, and losing weight! Hollandaise sauce, indeed, any sauce as long as it's made from cream, not milk; pour it on your steak, your salmon, your lobster. Eat shrimp, all you want; cholesterol and triglyceride levels drop on the Atkins diet. And, within limits, you can enjoy green beans, squash, broccoli, salad—Atkins recommends a cup of greens a day; and, again, no-carb sauces can make them even more enjoyable. Cheese, some nuts (like pecans, walnuts, and limited amounts of macadamias), mayonnaise, and oils guarantee you'll never feel deprived. It's even possible to buy low-carb ice creams and yogurts to enjoy, as long as you pay attention to the serving size and not exceed it. My personal comfort food is pastry, but even I don't miss it once I get past the three days of hell. For those first three days, I'm making ham and cheese roll-ups to bring to work for snacking. People who love chips can replace them with fried pork rinds (which taste better than they sound) but I'm not a big fan of salty snacks so I don't bother. Oh, which reminds me—you might think that all that meat and cream makes the Atkins diet expensive. But actually, it's cheaper than the regular American diet, because it includes very few processed foods. No boxes of cereal, no bags of chips, no snack crackers—all of which, pound per pound, cost far more than steak. And, once that first three days is past, you really don't want snacks. So, why ever go off the Atkins diet? Well, Dr. Atkins didn't believe you ever should. He, himself was on it for decades. But for me, the urge to join everyone else in a piece of birthday cake, or particularly tempting fresh-baked bread on the table at a restaurant, usually kills it for me. And, once you've cheated, knowing how difficult those first three days will be, brings up any excuse to put off getting back on the wagon. Here's what happens: At some point, the new Atkins dieter stops ingesting carbs. That's when the diet starts. The body contains sugars in the form of blood glucose to last a few hours. (When that sugar is used up, we feel hunger.) If no new carbs, which the body turns into sugar, are eaten, the body then converts glycogen, stored in the liver, to glucose. There's enough of that to last about three days. After three days, if no carbs have yet been ingested, the body begins to convert stored fat into sugar. This process is smooth, without the sugar highs and lows that are a feature of eating carbs. That's why you don't get hungry. What's more, the fat conversion is not very efficient. So a lot of the calories in the fat are turned into ketones, which the body excretes in the urine and the breath. That's why years of stored fat can be eliminated in a few months of Atkins. What's unnatural is the typical American diet. Sugar was first refined just a few centuries ago; prior to that, people used honey in extremely small quantities to sweeten things. Refined flour is new. Rice and wheat both were used with the shell of the grain left in. Potatoes were used by a few ethnic groups, not eaten by the masses with every meal. The result of all this processed food is a world of increasingly fat people. And the result of all those fat people has been a fabulously wealthy diet industry. Yet, with all the diets, and diet supplements (such as Aspartame) and emphasis on a low-fat diet, the fact is that obesity is on the increase. Unless you happen to be Calista Flockhart, you are probably overweight, yourself. That's not what you'd expect if a low-fat diet was really effective. The thing is, the combination of industries—sugar, food processing, weight loss—has a financial stake in keeping things just as they are. In fact, if the Atkins Diet ever truly became universal, all those businesses would go out of business. So, as far back as the 1980s, a concerted attack on Dr. Atkins and his diet began. It was said that eating all that meat would raise cholesterol levels (studies show it doesn't). The distinction between ketosis (also known as lipolysis, where stored fat is burned for energy) and ketoacidosis (which occurs in serious cases of diabetes) was blurred. When Dr. Atkins died from a slip on the ice—in his late eighties—the Wall Street Journal published an obituary that said, incorrectly, that he had died of a heart attack, and was obese at the time. His widow has been unable to get the media to make more than a small, back-page correction. Even though you can "eat all you want" on Atkins, the reality is that protein and fat are very filling; once the dieter has reached the state of lipolysis, there is no desire to eat very much. Atkins himself pointed out that calories aren't truly meaningless; and the less one eats, the more quickly one will lose weight. From my point of view, I'm still eating all I want; I just don't want that much! I'll keep you posted, dear reader, on how this all works out.